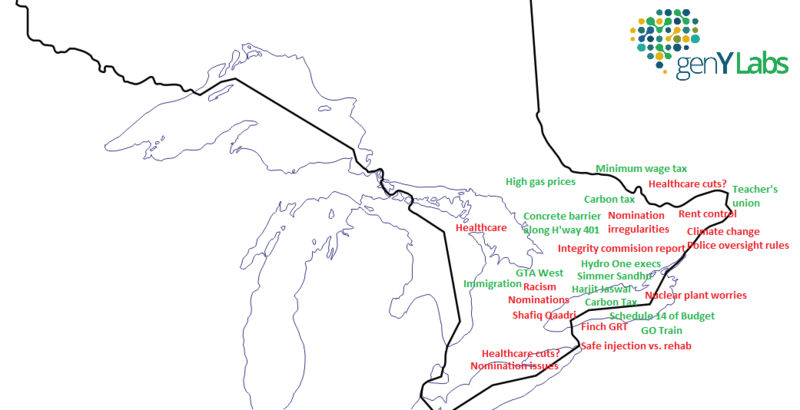 Ontario’s Provincial Elections – What do People Want? 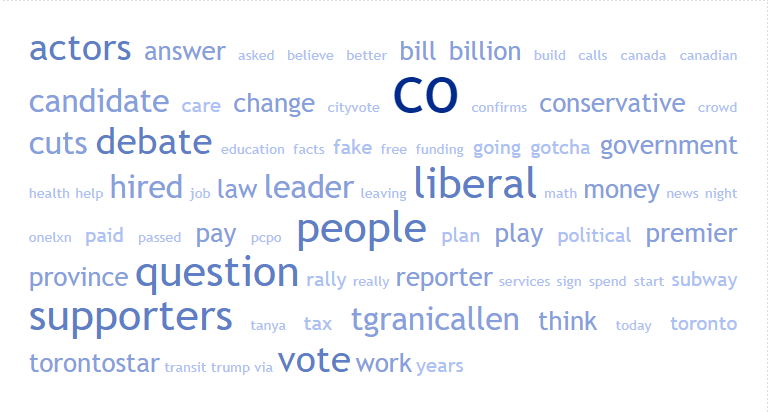 We put Auris, our AI based consumer insights engine to the task of identifying key issues which people are discussing in each riding of Ontario. We wanted to monitor how the issues people talk about change in the run up to the elections in June. We picked the PC Party as the anchor (we view the data from the lens of this party) because they seem to be leading as per the latest polls. Some great insights emerge about a) what really matters to people, b) what messages resonate more and c) what issues concern them. These are changing over time . We will showcase what we see by analyzing the data which is already out there. There’s a positive reception to the pitch of accountability and responsibility. Citizens of Ontario are positively engaging in the discussions that affect them directly – transportation, healthcare, educational reforms, climate change, taxes and rent control. We capture perception issues as well – the perceptions of the party reducing healthcare and welfare budgets and being anti-immigration. The buzz has shifted from the nomination process to actual issues and the tempo has increased with meetings and announcement of policies on important matters. Not all ridings are abuzz on social platforms, so you’d find those ridings missing in here. Note that most of the chatter is on Twitter, though there’s chatter on Facebook pages as well as forums. Auris ingests all of the chatter and churns out relevant insights. A visual showing the issues by riding for the two weeks is shown here. This helps visualize the issues and their relative importance.